Want a fun way to celebrate your child's birthday? 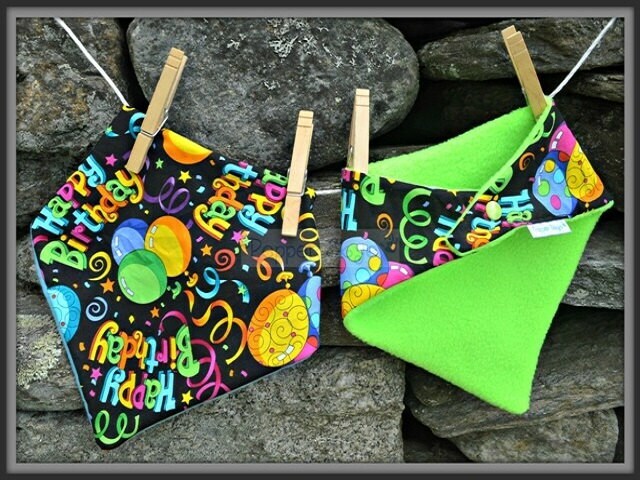 This bib says Happy Birthday in bright colorful writing with streamers all around. Backed in raspberry fleece with a matching plastic snap.